It is however, the best 15 minutes of pure automobile factory awesome and a must view for anyone inside or outside the auto industry. The star of the show is the 6th generation of BMW's 3-series that started production in 2011 and this video was uploaded mid 2012. As a former automotive industry insider, this author is surprised that this level of detail in video was allowed to leak outside the BMW network, as most other assembly line videos on youtube are in black & white and feature men who look like they belong in a Dickens novel. 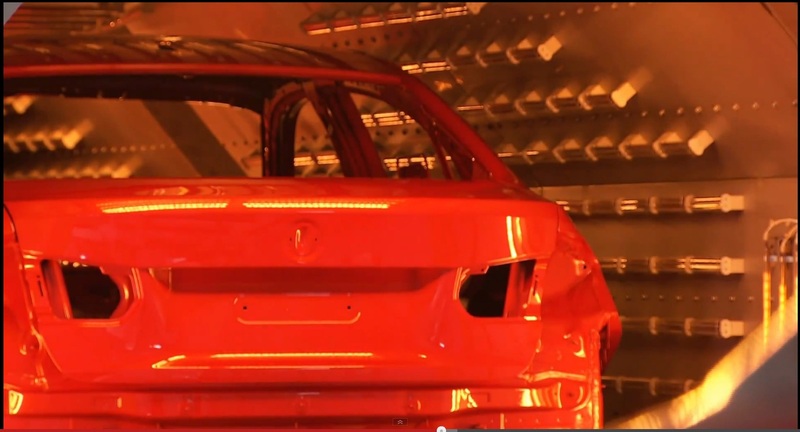 Particularly interesting is the paint and bake process that gives the original automobile a paint finish that will last decades longer than even the best aftermarket re-spray. 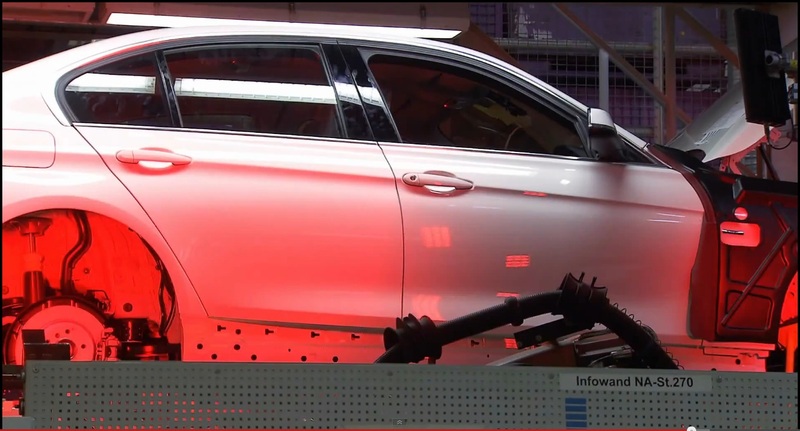 And of course, who doesn't like to watch robots assemble suspension and brake equipment onto a vehicle complete with red-warning lights and lots of laser beam related gadgetry. In all likeliness most people won't want to watch the entire video as it is roughly 30 times the length of the average twitter message, but we had to watch it multiple times in 1080p resolution to make sure we didn't miss anything. 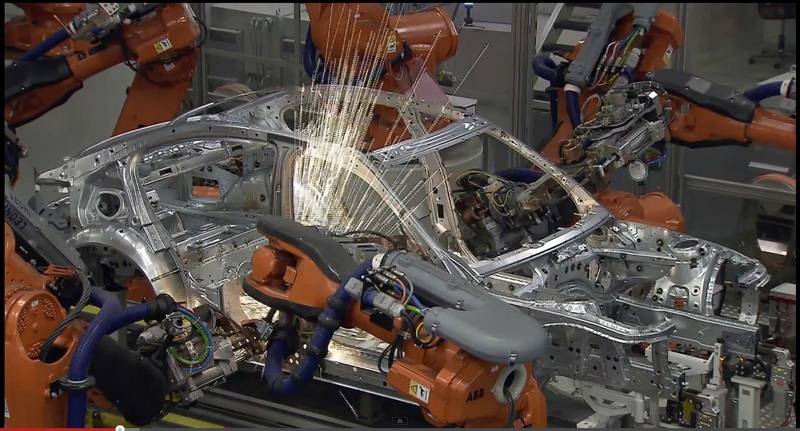 Incredible video - I want to work in a factory! Actually, I think I'd rather just drive the BMW and let others put it together, but I'm glad someone does this! ~ i decided to run this again during a hole in the schedule. there are always details i had overlooked. fascinating! ~ @ Brent, good counterpoint. interesting to watch the similarities and the differences. better soundtrack.